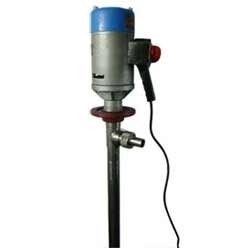 Manufacturer of a wide range of products which include screw & barrel pumps. We are actively engaged in manufacturing, exporting and supplying an excellent range of Screw & Barrel Pumps. Our offered pumps are designed using quality tested components and modern technology in sync with industry norms. In addition to this, our quality examiners test these pumps on various parameters of quality so as to offer qualitative product at clients' end. We offer these pumps to our clients at market leading prices. Looking for Screw & Barrel Pumps ?